We wanted to build a device to help vulnerable communities navigate traveling better. Our original idea was a GPS-enabled platform (to hold luggage/belongings) which follows a user based on their location (accessed through their cell phone) and takes vocal commands from the user's voice only (commands such as "stay" and "follow me"). 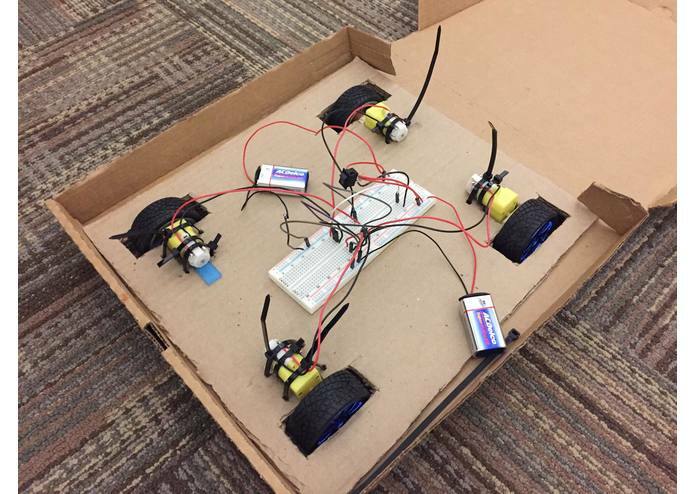 To accomplish this we planned to use a Dragonboard and the Lab41 Voices technology. 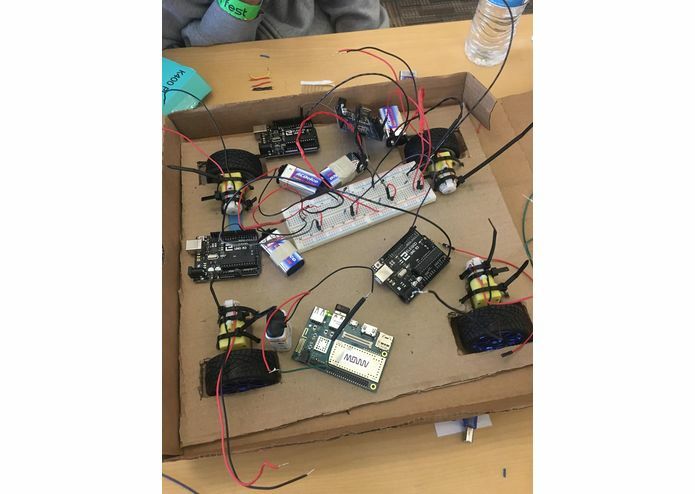 We were unable to find an adequate power source and/or resistance to use between the Arduinos and the motors - resistance was either too high for the wheel to turn, or too low and the resistor began to melt - so we were unable to integrate the software and hardware aspects of our project. If we had more time, we would fix the issue with overheating/underpowering, implement our voice command system, and find a more accurate way to access location/follow user (we were unable to access GPS coordinates from the Dragonboard itself and had to calculate location a different way). 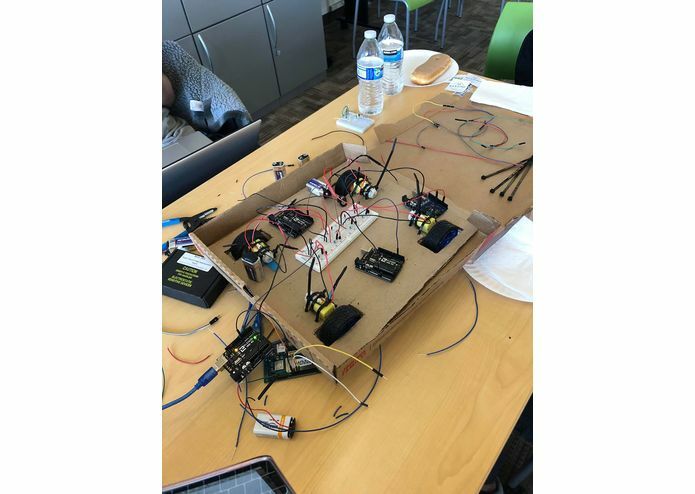 I created an iPhone app to collect user location data and write it to an AWS DynamoDB table, and a Python script to read the data from the table and act on it using the Dragonboard. Collaboratively designed the moving platform. Recorded performance measurements such as max speed and and load capacity. Used results to redesign and further optimize platform.